This large satchel is inspired by a postal carrier bag, made with a refined and modern sensibility. It is crafted in smooth leggero calf leather with a full flap to access the main compartment, secured by two magnetic fasteners. The exterior front pocket features a woven intrecciato flap and engraved buckle fasteners. 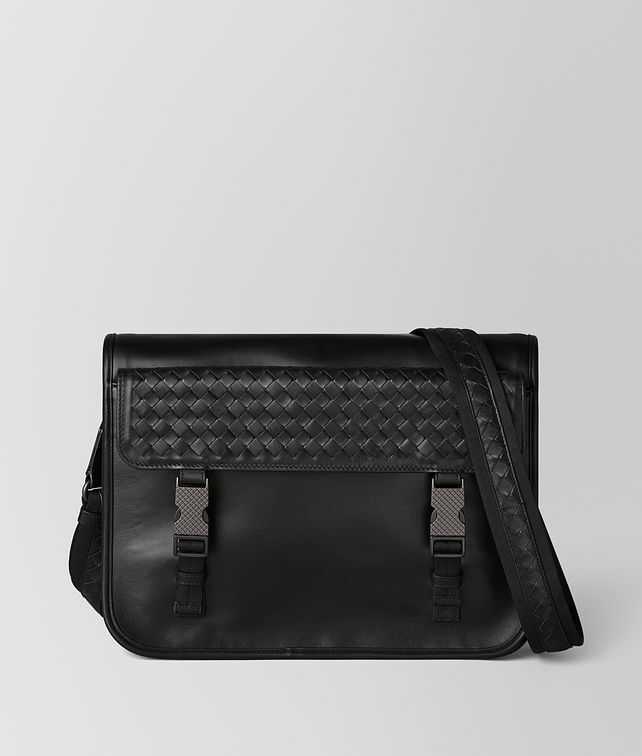 The adjustable shoulder strap is made with black nylon accented by woven leather. The highly utilitarian style has an additional external pocket with button fastening on the back panel. The interior is fitted with a zipped pocket. Width: 33 cm | 12.9"